Hackney Mayor, Phillip Glanville, pledged last night to ensure that migrant children in Hackney will no longer be denied free school meals. 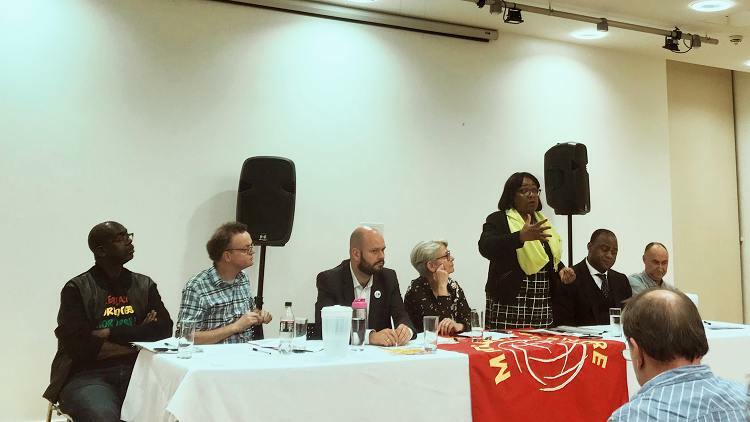 Speaking at a public meeting on Citizenship in a Hostile Environment, held on the Woodberry Down estate, a member of the activist group North East London Migrant Action (NELMA) pointed out that children in Hackney are being denied free school meals because of their parent’s immigration status. He told the meeting that children from financially unstable families, were left watching their classmates enjoy lunch because, under the Government’s “hostile environment policy”, children of refugees, or those who cannot provide documentary proof of their citizenship, are denied a range of benefits including access to school meals. Mayor Glanville said: “I want to absolutely campaign with NELMA about changing this nationally, but I also want to do something about it here locally. If that means writing to schools and funding those school meals, I am going to be doing that. “It is really important to change the conversation about immigration. It starts with the way we talk about migration. It starts with the “otherisation” of immigrants. There is a common debate about immigrants driving down wages, but that is not the case. 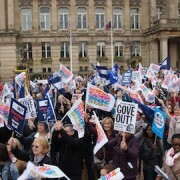 It is predatory employers, it is weakened rights of trade unions and it is globalisation. “Another factor which gives rise to the issue of hostile environment is the system of immigrant detention. The idea of immigration detention was to deter people from coming here. But we were told that people in the centres will not be kept for more than 28 days. I am committed to closing down the immigration centres. And in the meantime, I believe that people should be detained for no more than 28 days. Abbott pledged also that Labour would scrap changes brought in by the 2012 and 2014 Immigration Acts and reduce the very high fees charged to non-EU residents for regularising the immigration status of their children. She also assured campaigners at the meeting that she would campaign against the forms handed out by hospitals demanding information on nationality, which is deterring many individuals from accessing the services. Other stories of hostile treatment emerged throughout the meeting. Julius Nkafu, barrister and chair of Africans for Labour, recounted the story of a heavily pregnant woman who was refused services by her hospital because she did not have papers showing her Leave to Remain. This was despite of the fact that she was an asylum seeker and her appeal was still under review. In another case an elderly, sick woman was dragged out of bed by police officers and filmed, while she was stark-naked, just because they had orders to initiate her removal. Julius points out how the UK is the only developed country in the world that detains individuals indefinitely on the basis of their immigration status, and offers a right of appeal that cannot be utilised until after removal. Daf Viney, Centre Manager of Hackney Migrant Centre, said that healthcare charging is the main issue that they have to deal with. To top off the fear of being reported to the Home office, migrants are often deterred by the large bills they are presented at the end of their treatment. He recalls how a homeless man, who was diagnosed with cancer and given some treatment, was presented with a bill of £86,000. Similarly, a woman whose 6-year-old daughter received a liver transplant five years ago, was served a bill of £96,000, when she went to receive treatment herself on a separate occasion. Patrick Vernon OBE, Campaigner and activist, has launched a petition protesting against the compensation scheme launched by the government which puts a cap on compensation for members of the Windrush generation. 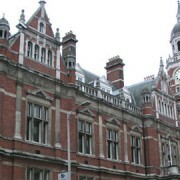 He argued that every individual has suffered unique financial and emotional distress in relation to social services, the NHS, housing or the job market, and even detention. A fixed cap, he argued, does not do justice to the victims.